Every June 11, thousands of people gather on the northern tip of the Big Island of Hawaii to honor Kamehameha I. King Kamehameha Day was established by royal decree on December 22, 1871, by King Kamehameha V as a national holiday to honor the memory of Kamehameha, the king’s great-grandfather, who united the Hawaiian Islands in 1810 and became Hawaii’s first king. Today, Kamehameha Day is a state holiday, and North Kohala is the place to celebrate. 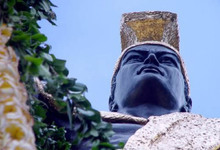 Kamehameha I was born in North Kohala, where residents are said to have played a prominent role in saving his life as an infant. The day begins with the families of Kohala conducting a traditional lei draping ceremony at his statue in Kapaau. The 25-foot-long floral leis are a tribute to the king. 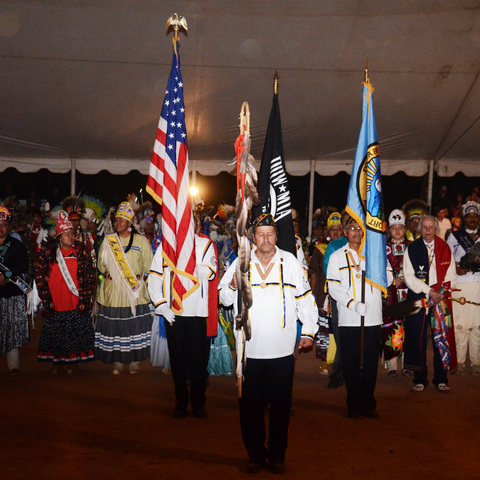 The ceremonies start with an opening blessing, followed by hula, history and music. Hula dancing is a traditional art form with movements that tell a story or represent movements of nature. The King Kamehameha Day celebration continues with a traditional pa’u parade with the royal court led by a queen on horseback, followed by princesses representing the eight major islands of Hawaii and Molokini. Each princess is attended by pa’u ladies-in-waiting dressed in colorful and elegant 19th-century riding gowns accented with leis and other floral arrangements. The parade makes its way from Hawi to the statue and Kamehameha Park and the Ho’olaule’a activities, where you can eat local food, see masters create traditional arts and crafts, watch hula dancers and listen to award-winning Hawaiian musicians. 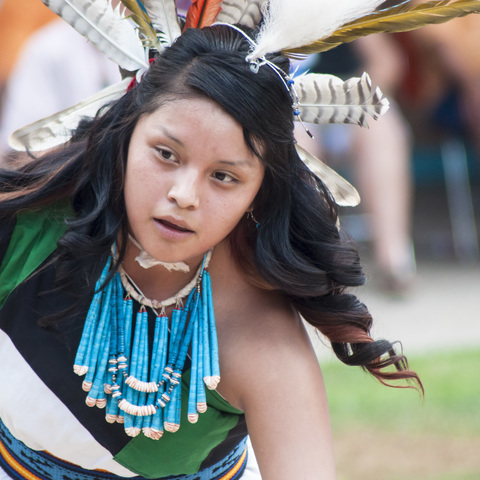 Watch the lei contest, conch shell blowing competition and student art contests. Each year on June 11, celebrations begin in Hilo, Hawaii. All the major Hawaiian Islands, including Oahu and Maui, celebrate King Kamehameha Day around the same time. Kamehameha the Great established the unified Kingdom of Hawaii and was known as the Napoleon of the Pacific. 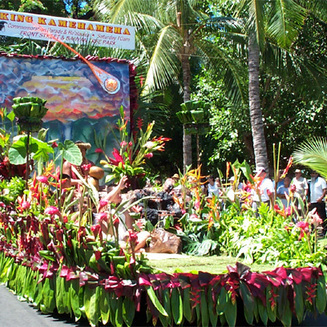 Don’t miss the annual King Kamehameha Celebration Floral Parade going into its 100th year—a processional of floats, dancers, marching bands and pau horseback riders representing royal courts from each of the islands.